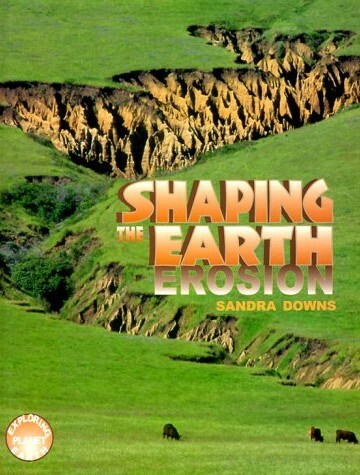 In Erosion: Shaping the Earth, discover the how and why of erosive forces, and how human activity has contributed to a dangerous acceleration of erosion around the world. A drop of water, a grain of sand, a bit of ice—what difference could they possibly make on the landscape? But these underrated agents of change never travel alone. Drop by drop, water dug the Grand Canyon. Sand carried by the wind has sculpted great arches and hoodoos in deserts from Mongolia to Utah. Glaciers that once covered entire continents created fjords in Iceland and the Great Lakes in North America. Given time, erosion will overcome the most powerful forces. And it has all the time in the world. This book tells you how, why, and where. Second only to my interest in minerals is my appreciation of scenic geologic features is the exploration of eroded landscapes. For me, there is nothing more fun than coming across a rock forest at the end of a long day of backpacking, or climbing atop stone pinnacles on the edge of the sea—ask my hiking partners about my proclivity to stash little samples of mountains in my pack! I hope you enjoy the back matter in this book, “Amazing Landscapes.” It’s a life list of places I’d love to set foot on (if I haven’t already!) and a great roadmap for using the Internet to check out some of the world’s most stunning geologic formations.